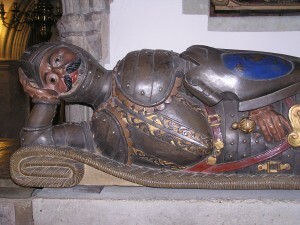 Richard de Redvers (from Reviers in Normandy) was a loyal supporter of Henry I, who received as his reward lands in Devon and Hampshire and the lordship of the Isle of Wight. 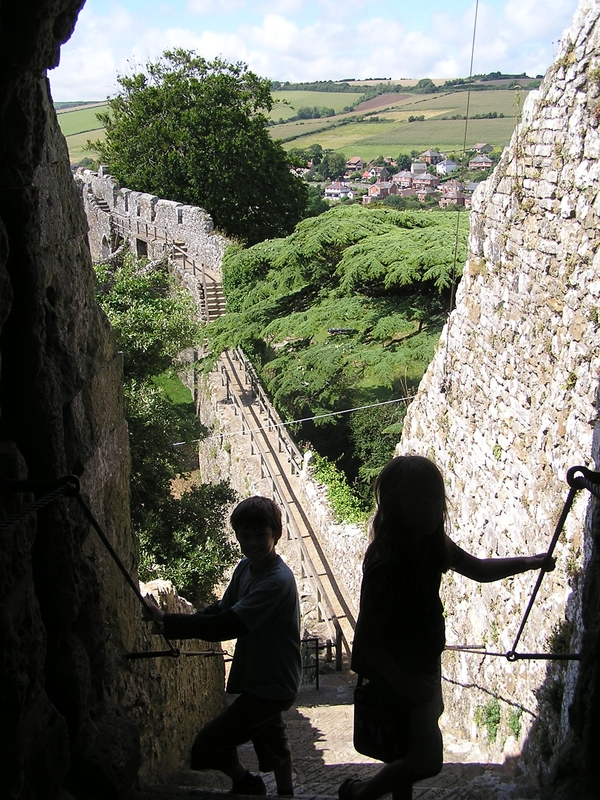 The likely builder of the polygonal stone keep and inner curtain wall at Carisbrooke Castle (his Island fortress), he probably also founded the borough of Newport, which would previously have been little more than an obscure port. Richard de Redvers died in 1107 and was succeeded by his son Baldwin, eventual Earl of Devon. 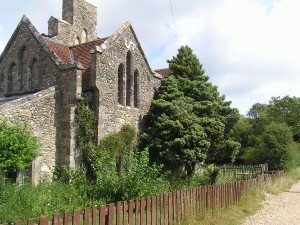 Baldwin was a figure of national significance, an opponent of King Stephen, but he left his own mark on the Island’s history by his foundation, in 1131, of the Abbey of Quarr. Nearly two decades in the building, Quarr was colonised by Cistercian monks from the Abbey of Savigny, near Avranches, and endowed by Baldwin with estates including the manors of Arreton, Haseley, Combley and Newnham, all on the Isle of Wight. Meanwhile, Baldwin continued to maintain close links with his native Normandy, where he was lord of Néhou, Reviers, Amfréville and Varaville and, from 1135, of Douvres in the Bessin. His father, Richard, had been buried in the Abbey of Montebourg (on the Cotentin peninsula), of which the Redvers family were the protectors and benefactors. 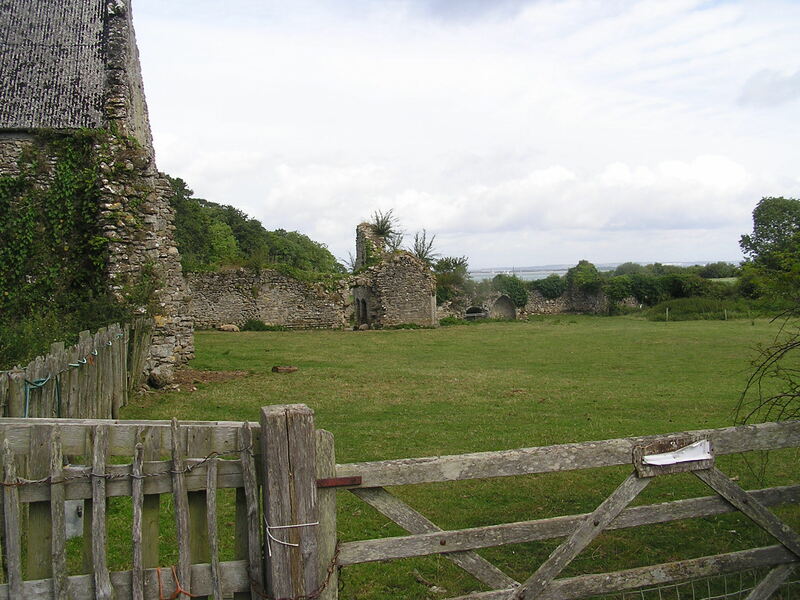 Sir John Oglander, the proud descendant of Robert of Orglandes, writes of the prestige of the Abbey of Quarr, where scions of the best Island families were eager to obtain positions. To hold an office such as treasurer, steward, chief butler or even rent collector was considered a great honour. ‘One of my own auncestors,’ he writes, ‘was theyre steward, and theyre dyed.’ Sir John Oglander himself neatly exemplifies the enduring impact of the Norman Conquest. Blissfully settled at Nunwell, the estate granted to his ancestors by the de Redvers family, he lorded it over an indoor staff of thirteen people, whose wages amounted to a meagre £40 per annum, compared to nearly £700 that he lavished on himself and his dependants. On the other hand, Sir John was deeply rooted and assimilated, so that even ‘in the way he wrote you can hear his Isle of Wight accent and manner. Barns, fields and trees were all “him” and “he”, “fallow” fields were “vallow” and ferny grounds “vearnie grounds”.’ (Adam Nicolson, Gentry: Six Hundred Years of a Peculiarly English Class, London 2011, pp.111, 115.) Sir John had been educated at Balliol College, Oxford, and at the Middle Temple, yet he instinctively conversed in the local dialect. To refer to inanimate objects as ‘he’ is still an Island peculiarity - or was when I was growing up there – where, they used to say, ‘everything but a tom-cat is a “he”’. The Oglanders (or, at least, their female-line descendants, who have taken the name) still hold part of their ancestral estate at Nunwell. Their name seems to have appealed to Evelyn Waugh, an Oxford contemporary of Denys Oglander, whose ‘Mrs Stuyvesant Oglander’ has a walk-on part in Brideshead Revisited. 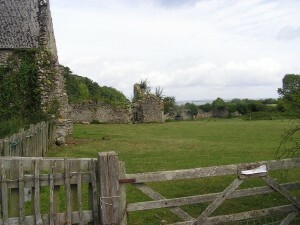 Another notable Norman family that persists on the Island is that of Wavell, the descendants of Godfrey of Vauville, who are the subject of an earlier blog (http://www.rupertwilloughby.co.uk/archives/999). It would be surprising indeed if the Norman genes were not widely distributed among all levels of Island society.